Look for me at the Sportsman Show! I'll be wearing this jacket! At the door to our back porch, we have our "rods at the ready" set out for the season. Right now, jig and bobber rods and drift rigs line the door where our rod holder stands. Seven or eight rods, tip up, tied and tested, standing at attention... ready to fish. It's more difficult for me to tell whose is whose. Bill seems to know, by the slightest glance. "Is this mine?" I say, reaching down to grab one. "No! Yours is the Loomis". The Loomis... I think, reaching down to read the label. "No! Two to the right! The one with the Okuma reel!" Argh. Touchy, touchy! They kind of all blend together, to me. Not to Bill! I finally set my hand on one and get the nod. My pockets are filled with pliers, sand shrimp, and an extra jig, just in case. If my lines breaks, I'm in trouble. I don't go as prepared as Bill, but it's worth it to me. I get out there much faster than he! Bill is still struggling with his waders, sitting at the kitchen table, grunting and groaning. I, in my pajamas and knee boots, well, I'm outa here! The dogs jump at my feet, barking. They know what's up! The door slams and I carefully make my way to the less slippery grass. Our back porch is treacherous! We head across the grass. The dogs and I. Willie has my flashlight, and he's heading for the river. "NO! No, Willie! No!" He has this thing about dunking my expensive flashlights in the river. I've just about had it with this naughty trick. Why does he have my flashlight in the first place? Good question. It's his thing. Flashlights make him happy. Thus, he has my flashlight. Sigh.... I spoil my dogs terribly. I realize I sound like a grouch, and one of my worst fears flashes before me. "Who heard me sound so grouchy? Is someone out there?" The dogs think so! They change their bark to an alert. Argh.... There is a drift boat, filled with people that I know. People that I'd wished hadn't heard my grouchy-at Willie voice! You never know when the social aspect of living on the river is going to greet you. It's magical, usually. Fun! Exciting! But-- there are times, times like when I've just yelled at my dog, or times when I was singing at the top of my lungs, thinking I was alone... those times... When I wish I had contained myself! I was never so embarrassed as the time I was nearly shouting a joyful tune, and I hadn't seen a drift boat, coming round the bend. Argh! They laughed, thank God. They told me it was good to hear me sounding so happy. Still, my face was a zillion shades of red! A bit embarrassed for my grouchy tone, I fixed my gaze on the drift boat, slid up on our sandy beach. Two familiar fishermen were still in the boat, and one fisher on shore. "George! Len! Josiah! Hi!!! Catch anything?!" They triumphantly tell me of the two bright steelhead they just landed, and I tell them I'll go get Bill. Bill will be excited to see his friends! I was excited to go tell him! Sometimes we greet people we don't know, but find they are on ifish, too. That's always fun! Sometimes they are my friends, but this time, these are mostly Bill's fishing buddies. I wonder if Bill's fishing buddies heard me yell at Willie. I wonder if they think I'm a grouch, now! LOL. Oh well! I reach down and pat Willie, mostly to assure them I still love my dog! I turn around to go get Bill to hurry up and come down to say hi to his friends. This is life on the river. Most of the time, life on the river is quiet. It's always fun, though, to greet the surprise of friends. I get Bill, and hurry back down to join them in fishing. How fun it would be, to be female, and pick off an easy fish in front of them! Ha! That used to happen to me more than it does, now. I'm seemingly a pitiful fisher, lately. I can't catch a cold, let alone a fish! Still, it was fun, casting along with the big boys. Soon, Bill and I, frozen on the river's edge, bid our friends a good drift down the Kilchis, and we headed in. It was cold on the river, and a warm and friendly fire in the wood stove, greeted us, as we opened the door. We pour a fresh cup of coffee, and sit down in our living room in the little house on the river. We discuss plans to go to Yakatat this coming Fall. We dream... we fish, we live. We love, we laugh. We lose, we lament. This is life... Life on the Kilchis river, in Tillamook. Bill and I were so excited to have my cardiologist come to fish, today. We had it all planned. I was just getting ready to build the cinnamon rolls. Not only that, but yesterday we spent time spiffing up the house for their arrival. Woke up this morning and the river had come up almost a foot. We took a peak at the rain gauge. 2.5 inches of rain!?! Ish. Since 6 pm. The wind is blowing at 20. You know, I've fished these conditions and much worse a ton of times, but somehow, 20 years older and it's not as much fun. I will still probably make my way out to cast a few, but showing off the river in these conditions is just not what I had in mind for this day. Not knowing how comfortable he was with the rain and wind, I wasn't sure how he'd feel about it. Feeling responsible, I called him to prepare him for the conditions, and of course, he delayed the trip. Just darnit, anyhow! The river does what it wants, when it wants, without any warning to us, or our guests! If only I had a hotline to Mother Nature. We tried to make him feel better. He's mostly a fly angler, so we said that the wild fish will be more plentiful as the season progresses. But-- he said he'd like a hatchery fish for his wife. Pheh! Just darnit, anyhow! Did you know I lost my son? That I found him in his chair, about three months ago? That he is gone, now? Why the heck is it, that this is about all I can think of when I meet people, or go to write? I've caught myself even telling folks twice. People I don't know- know what happened, because I go in a store, and while paying for something, I tell them. And then tell them again, the next time! There is nothing worse than a failing memory, except for embarrassment and grief, together! Double whammy! One day last Spring, I was at the puppy park. A lovely lady was walking her pup. I adore pups of all sorts, sizes, colors and I commented on her cute dog. We got to talking, and not two sentences in, she told me that she was so thankful for her pup, who kept her going through the loss of her best friend, her partner and husband. It touched me so much that I just reached out and hugged her. I held her for more than a moment, as the tears fell. She was a stranger to me, no more. She was hurting, and all of us have those deep hurts in our lives. My son, David was with me, and I sort of hoped that this was a lesson to him. A lesson that we all experience hurt, and that is a connection that we all share. That's it OK to reach out and hug someone. I thought that it was a little strange at the time, that she shared her grief with me so soon, but I don't, anymore. I get it. The loss of my son, is still very near the surface for me, and every time I talk to someone, it wants to come out. Thing is, I couldn't understand why. Some folks bury this kind of thing. I wish I was more like that. I can't figure out why I want to share this awful thing. With most folks, it is a real conversation stopper. I mean, what do you say to that? Nothing. You just hug. You just hold. You just grieve with them. The thing is, though, that most people don't respond that way. I just wish they would. I need hugs, I guess? Is that it? I am learning, bit by bit, to stifle my words. It's getting easier. I don't need to share my loss with everyone as much as I did, when it was a bit more fresh. But, the puppy park is a very social place. People talk, and if I talk for more than five minutes to someone, it just feels odd not to bring it up. In my mind, it's like a jack in the box, and I keep trying to shut the box lid, so it won't come out. How in the world can I be a happy, social creature, when Jack wants to pop out of his box? It fights to come out. I shut the box. Here he comes, again! Argh! here it goes! The tune jangles at my nerves. "My son died! My son! My beautiful son!" If not that, it's pleasantries, and how cute their dogs are, and look over there at that one, and.... on... and on... and on. In the back of my mind, though, "Jack" is still at it. I mean, what should I say, "Hi! My name is Jennie and I hurt. I need a hug." Thing is, not everyone offers a hug. It mostly just stifles conversation. Some do, though! And those people? I know those people are my friends. I'm learning to stuff it down there, not bring it up, and then when I get home, I make David hug me. He gets it. Oh, boy, does he get it! The other night, it occurred to me how sad it was that David would have no brother to always rely on, to grow old with. I have all my sisters and brothers! I am so lucky! But with David, I'm all he has, for close family. I mean, we have a great extended family, but... you know? You know what I mean? I went over to him and hugged him and told him how terribly sorry I was for that. Just remember, it's OK to hug people. Everyone has sadness, and as we grow older, those sad things often deepen, as we go through more and more loss. So, hug people. Just hug them. It's really more than OK to do. I grew up in a no-touch family. We didn't hug. I had to learn it, and boy oh boy am I glad I did! It's a neat thing! Appropriate hugging is a skill, and we all need to practice it. Well, the rain continues to fall, and again, I've written about Andrew. Someday, I'll be able to write a whole column without thinking of Andrew. Until then, if you need to practice hugging, I'm a very good teacher! Anyone else having everything in their home break down? This week, it's my furnace... or my thermostat. Not sure which. It's a good think I paid down my credit cards, so that now I can build them back up, again! Someone in the household (without notifying me, and come to think of it, I'd have probably been quiet about it, too!) -broke one of those big light bulbs in the bathroom. You know, the big round ones on the bar kind of light fixture? Yeah. One of those. Probably by flipping a towel around, or something. It was broken glass, leaving the metal screw-in part still screwed in. "I can fix this!" I get excited when I know how to fix something! Not only had I heard of the potato trick, but I knew I could just do it with pliers, after the breaker was turned off. Well, I couldn't identify the right breaker, so after a few tries, I got it. But-- when I was fooling around with the breakers, I think I messed up the furnace. How is that possible? Did I blow a fuse, maybe? Yes... I did fix the light bulb! But, the lesson here is, don't fix light bulbs, because once you do, something worse will happen! So, later in the day, Tammy felt cold air coming out of the heaters. Almost like air conditioning! She went to look at the thermostat, and it said 65 degrees. Just where we keep it for that time period. Later, I went to bump up the heater, because I was cold, and the display wasn't registering anything! To me, that means there is no voltage to the furnace, or maybe any low voltage to the thermostat? I don't know. Either way, I don't know how to fix it! I checked and rechecked the breakers. Nada. Well, other than the fact that after paying him, chances are I won't be cold, anymore! Why, the coldest time of year, does this furnace go on the blink? Why did I drop my hair band in the toilet? Why must I step in dog doo? It's a bad couple of days. I have the dropsies, badly. I went to mop the floors and Willie tracked through my work. He has to have his nose in all that I do. He's the boss. He's checking up to see if I'm doing it right, I guess. On days when I have things to do, like this, Willie doesn't get to go to the puppy park, so I am in double trouble. He is wound up, and has energy to release, so whilst I try to do my work, he is always at my feet. "Whatcha doing now, Mom? How 'bout now?" I long to go back to the coast, where Bill fixes things. Where I can fish and go for walks, and not worry when something breaks. I can just say, "Bill? The fridge isn't working"... and go out to the river, to fish! You would, too, by the sound of his returning remark! But, at least I get it, now. If you want to 'get it', too, just buy a house! I'm on the hunt for an Acer netbook. If you know of anyone tired of theirs, let me know. I'm getting ready for the Sportsman Show and setting up the web cam, again. People have more fun with that, but since my hard drive went out on my netbook, I have to find another. Webcam XP is the only good software I know to stream feeds to so many people. I can't find a good MAC alternative. I tried Quickbook's broadcast, but it just doesn't make sense to me. I know the program, Webcam XP. I own a professional license. If I have to buy other software for a MAC, it will cost about the same as a used netbook. So.... Craigslist, here I come! Are you a clean sheet fanatic? I am! You know, that feeling when you get into bed under clean sheets at night? I love that! Often what follows is a "good skin" night. I don't know what sets it apart from any other night, but sometimes senses are just heightened or something. I love those feelings! Do men get those feeling? Maybe they do. I don't know, because last time I reached over and touched Bill's feet at night, he said, "Do you have your shoes on?" He was serious! My feet felt that dry, I guess! Dang! At least he can't complain if I go get a pedicure. Can he? Last night I had that clean sheet feeling, and I was alone. I didn't have clean sheets, either! Bedtime just felt so good. I reached over, and no one was there. Well, Willie was on his side of the bed, on his pillow, as usual. I reached over and lay my head on his back side. His fur is so soft! My hands were cold, so I worked them into his curly chest and I was out! I woke up, and Willie had had enough, I guess. He was on the floor. Thank God Bill doesn't do that. I'd be offended. The shoe comment almost did it for me! But, Willie doesn't much care for my electric blanket. I couldn't do without it, with my thermostat all messed up. The electric fixer-guy came over yesterday and switched a switch. The display lit up! "Yay!" And then it went out, again. "Not so yay!" After trying a few things, some circuit board was diagnosed as out on my heat pump and he said, "Since it's a "special" Lennox, we have to order the part." I'm freezing till Tuesday, or going to the coast. I don't know about you, but for me, warm dogs and electric blankets only go so far. Hip, Hip, Hooray! I'm off to the coast! Seems like I live a life of "broken", lately! Everything! I mean, twirl-around-and-point-everything here, and it's been broken in the last couple months! Geez Louise! It's the game of "Pay down your credit cards and build them back up!" Argh! But, my internet is fixed. David's new car (well, new to him!) starts! My heater... Oh, my blessed heater is warming our cold bodies! Yay! And so, with everything fixed, (knock on wood!) I'm finally coming home! I have a song I sing to Willie about "Revvie at the River", when we plan on going, and he gets so excited about it! He loves Revvie at the river! He can't wait to get there, and when he knows he is going, he is such a good dog. He just climbs in the car, finds a comfy spot and settles in, knowing full well it's long, but well worth the drive! After all, it's all for Revvie at the river! Tammy isn't a morning gal. In fact, right now I think she is late for work, but I'm afraid to wake her up, not knowing if somehow she has made other arrangements, and I'd be waking her, for no reason. At the same time, I'm afraid she'll wake up late, and not be pleased with that, either. What to do?!? I'm afeared! She's not the happy sort, in the morning. She doesn't sing at 5 AM like I do, and I'm afraid that my singing irritates her, also. So, I just try to be quiet and kind. Willie and I are more alike. We wag tails in the morning. So, it came as quite the shock the other morning, when I heard her alarm go off, and immediately after, her laughter. And I mean, full on laughter! "Tammy!?!" She didn't hear me, and kept laughing. "Oh well", I thought... I'll leave well enough alone. Coffee in hand, she came to where I was working, and explained the outburst. Earlier, I had been playing my morning round of 'Flashlight' with the Wilster in the pre dawn cold. Willie has had Tammy on his mind, recently. He is a very sensitive pup. She was cooking dinner the night before, and Willie couldn't contain himself when he saw the casserole close enough to the edge of the counter. Tammy heard him and caught him red handed, paws and mouth up on the counter. She showed her extreme displeasure with a loud voice and a hand to his rear end. The rest of the night, he sulked. He hid from her. Why had Tammy forsaken him? All he wanted was to eat, after all. So, still a bit timid, Willie heard the alarm go off in her room, that morning. Flashlight in his mouth, he headed down the hall, to see what that noise was in "scary" Tammy's room. Tammy, the nice girl at the end of the house, who loved him, but had forsaken him, just because he was hungry. Tammy told me that it was pitch dark in her room, and at the first opening of her sleepy eyes, was met with a high powered light, much brighter than the sun! It was Willie, timidly peaking around the corner, thinking he was in stealth mode. I tend to think he was trying his best to greet her gently, trying to make up for whatever he had done to displease her, the evening before. Willie? That's not your best plan! But, it worked! There is nothing better, no grander prize, than to win laughter out of Tammy, first thing in the morning! I can't do it! As long as we have been friends, and even now, living in the same house, I have not been able to make Tammy laugh, first thing upon waking. Never! Leave it to Willie! It was music to both Willie and my ears. It's going to be a good day, if Tammy wakes up in laughter! Not that she's a grouch. She's not! It's just that some of us are morning people, and some of us are not. Daily, Willie and I maintain our morning position. We were up at before the sun, this morning, out in the yard,. playing flashlight in the cold, pre dawn fog. I had the little fire column going to warm my hands, as I handed out flashlight after flashlight. My coffee gets cold, if I don't drink it fast enough. Willie takes one flashlight after another and as I quietly whisper his "His name is Willie!" song, he plants them around the yard, running and "springing" like springers do! I love that when they do that spring-thing! It makes me laugh out loud, and that causes Willie to do it, even more! Then, I bundle up in my blanket to gather up each of his five flashlights. Of course, we have a "where are the flashlights?" song to sing, also. He guides me around the yard, now, to find them, as I sing. Each light is wrapped in colored duct tape, both to soften the grip on his teeth and to help me to locate them. Despite the tape, I (HE!) has lost a number of flashlights. I need a metal detector to find them all! Oh! How flashlight rich I'd be! He isn't allowed my good flashlights, anymore. He gets the cheap ones and I keep my Coast flashlights for myself! Some people would say I'm foolish to encourage this game, but I just get it! We both adore flashlights! It's the way it is! I can relate to his flashlight addiction! They are just way cool! So, it's off to the coast, for Willie and I. Off to the showers, and down the road, we go. Just Willie and I, and our flashlights in tow. I just hope this isn't the flu. I've been coughing, hacking, sniffling, sneezing, aching, and can't get any rest. It's so frustrating when you can't lie down to sleep at night. The minute I lay down, the coughing starts. This is the second time this winter, I've been ill. Or, was it late summer? I can't remember, but it took forever to get rid of, and here I am, again. Every morning, Bill wakes up and says, "It's still here." He doesn't sound like E.T., either. He sounds so sad. So disappointed! Myself, I think it's pretty! This ice queen, weather! The whole lawn is pure white, and so is the driveway! It looks like it snowed! But, it is hard to fish in. You go out for 15 minutes and freeze the tips of your fingers off, and that's it. You get so cold, and it hurts so bad to run your fingers under warm water to thaw out that you sure don't want to "rinse and repeat"! So, you just stay in. Stay in and do what? Taxes? "That's always fun" I tell Bill. He grumbles. "We could go shopping!" He grumbles again. But, the way the dogs run in this slippery stuff sure puts a smile on my face! They are so happy to run in it! It makes them have "the wilders" as they race around in circles. This morning I got up with something to do. I was fixated on it, and I was going to accomplish it. I had looked before, but hadn't had much luck getting back without staying over night. There are two flights into Yakutat a day. The 61 and the 66. One Northbound, One Southbound. Well, I finally got to work on it, today and ended up having to call to figure out what the deal is. We finally figured out that we had to set the time coming back to noon, and sure enough, it popped up! At twice the price! Oh, my! Here's the deal. I told Bill that since he was buying the guided four day trip, that I'd use my miles for the tickets. I was going to use them for a little trip South for David and I. Perhaps Disney or something. But, I could go all the way to Yakutat with the same miles... so why not? Those tickets were expensive! So, he's going to help David and I go to Disneyland, and I'm using the miles for our Yakutat trip. Anyhow, it took me a while to figure it out, but we are leaving at 5 in the morning for Seattle, then fly to Yakutat and get in by noonish. I just can't wait! It didn't seem real until I got this flight accomplished! I'm so excited! I haven't been to Alaska since this trip with Chris Sessions. Bill promised me this trip, the first time we had a date, together, and we are finally going! I bought trip insurance, just in case, but darnit! We are going! I'm a die hard Swifty. I can't help myself. I feel like a dang teenager. I'm addicted. I think she's lovely, charming, intelligent, talented, gifted, cute-as-a bug! We-eeee, will never, ever, ever quit fishing, together!" I sang to Bill, the other day. He looked at me as if I'd lost my mind. I think I've listened to the album "Red" a million times, now. I know all the words. I cry when I listen to her heart felt love song-lyrics. I'm a dork. But-- I am going to her concert! Somehow! The tickets are so expensive! Tickets for anything are expensive, these days! Movies are ridiculous! Skiing is out of this world! But, Taylor? She's worth it! Speaking of expensive.... Life jackets! But, guess what? 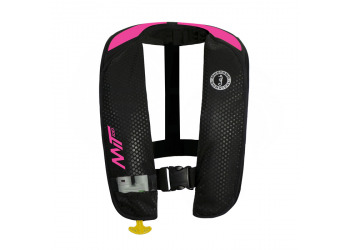 There are these new, awesome life jackets from Mustang.. They definitely have the "cool" factor. They come in a bunch of neat colors. Like... Pink! I love it! The Mustang Survival M.I.T. 100 is an easy to wear and easy to use inflatable PFD. It features Membrane Inflatable Technology (MIT) inside to reduce product weight creating a lighter and more flexible fit for sailing, fishing, boating, paddle sports, or industrial marine. I'll bring mine to the show so you can see it! The awesome thing about these are that they are so affordable! You can find them online for well under $100.00! Now, that's awesome! The days of bulky life jackets are long gone, thanks to Mustang! Bill is out fishing the South Fork of the Nehalem with his buddies, Dudley and Jack, today. I can't wait to hear how they do! I asked him to carry his cell phone, so that I can have up to the minute reports. Willie and I are off to the puppy park, now. It's pouring down rain. Rain, rain, rain... That's what we can expect until Spring, now. The cold is probably mostly over for us. We have to wade through the next months, until Spring approaches. Springers! Oh, my! Can you believe how close we are!?! Whoo hooo! 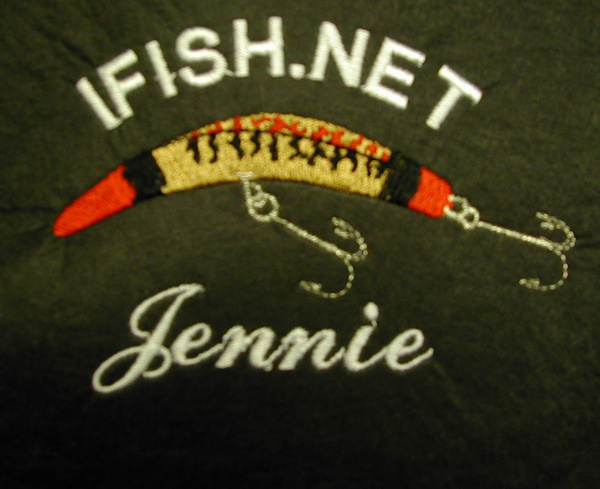 I have been doing ifish for about 13 years. The way I have run the board seemed to have worked fairly well. I thought? But, I'm having to relook at things, and wonder if we should be a little more strict about misbehaviors, as there are more and more mean comments being posted. More and more moderating needs to be done. Should we be more strict? Perhaps so. The folks that we have helping think we should be doing more infractions, more putting folks in private moderation, more banning. It's just weird to do something the way I have done it for so long, and having it work... (or so I thought? ), and then to be challenged and criticized for the way I think things should be handled. I don't know. I guess I'm too patient. Too forgiving. At least, that's what I'm being told in so many words. So, I'm getting out my stick, all you members of ifish! Watch out, or we'll whack you! The more I think about it, the more I think I probably shouldn't mention this, but that's also how I do things. I just say how I feel. This morning I feel criticized. More and more, I feel like I don't have a team backing me up. I've always had so much support. No more! And that feels crummy! That feels like a rainy day! On a lazy, rainy and otherwise pleasant Sunday afternoon, David came and sat on my bed next to me. "Mom? I think we have house problem number 701." He said this to me very gently, as if he were telling me my hair was pretty, today. I pretended to be calm. "What?" "Well, there is a half-inch of mud in my shower." "Yes, Mother dear. And some fresh spinach, too." The calm was leaving my voice. We had spinach salad for dinner, just the night before. But why was it coming up the drain in the shower? What is with this house? So, what do you think? Is it because we put the spinach in the garbage disposal? Does the garbage disposal drain go to the shower? Upon further inspection, (thank God) The dirt wasn't dirt, (or worse) after all. It was coffee grounds. I have never had a garbage disposal and didn't know that coffee grounds could make it back up. But still, back up into my shower? The other shower is unaffected. We don't have anything in that shower. Not even fajitas from last night's dinner. So, we got it snaked out, yesterday and yes, the drains are somehow magically connected. No more spinach in the shower! But, please, just tell me where this all ends! I'm so tired of paying for broken house things! In fact, I'm not! My VISA is! Owning a house is just not for me, I'm afraid! I just can't afford it! Ouch! Today it is pouring down rain, and I'm headed to the coast. I tried to go yesterday. I had an appointment at 11:00 and took off, waaaaay before 9:00. The 205 was clogged up, getting on 1-5. I sat in traffic until it was way too late for my appointment, so instead of continuing on, once I got to Carmen Drive, I exited and gave up! It wasn't going to happen. On the way home, Willie had been so excited to go to "Revvie at the river" that we had to stop at the puppy park to let his energy release. So, today... today I am going to the coast! I can't wait! I hope life is better at the coast, because I'm feeling the rainy blues, today! There is always that promise, though! "The sun will come out, tomorrow!" I keep thinking that yes, we have to have bad days, so that we appreciate the good days so much more! And next week? Next week is the show! Now, there is something fun to look forward to!